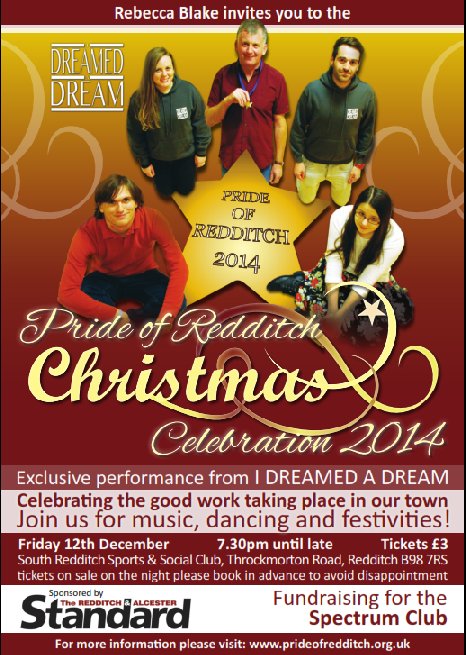 Pride of Redditch 2014 was emotional and uplifting in equal measure. We started with an amazing performance from I Dreamed a Dream, local singers who are simply first class. If you missed them or enjoyed them so much you'd like to see them again, they're on at the Palace in March for their charity show. Please support them! We had a packed room of Redditch heroes and we were about to find out who from our 69 nominations, the judges had chosen as the Pride of Redditch. The Pride of Redditch is about thanking those who do what they do because they care, those who aren't looking for recognition and that's why it's so nice to acknowledge their work on behalf of our town. It also lets others know just what good work is going on and that we should take a pride in what a caring, giving place Redditch so often can be. 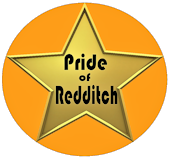 We need more pride in our town and I can't think of a better reason for us to be proud of Redditch. Our judges Corinne Seabridge, Affy Qadeer and Ian Joseph had an unenviable job. We had people who had saved lives and people who had made lives, both through their paid & voluntary work. tragedy, which had propelled them into relentlessly helping others. It felt like there was a great atmosphere in the room. Bringing old friends and acquaintances together and likeminded people who hadn't met or heard each other's stories before. While they were from different walks of life, what they all had in common was that they were taking the time to make a difference to the lives of others when they simply did not have to. I'm sure I can say on behalf of the majority of local people, Redditch is a good place to live and as we strive to improve it together we must make time to remind ourselves of the people who make us proud and to let them know why they are so special. Thank you to everyone who was nominated, keep up your good work and I look forward to repeating these awards in the future, especially given the strong support they have received.